Alas, somewhere in history the wealthy lost their taste for having themselves portrayed hanging out with God. Now these images just seem outrageously vain. What caught my eye is the heavenly-hosts-onlooker pattern in the background. Wouldn’t that be a great wallpaper? The Brussels Hours of John, Duke of Berry, c. 1402-09. The Book of Hours by John Hartman. Park Lane, New York. 1977. 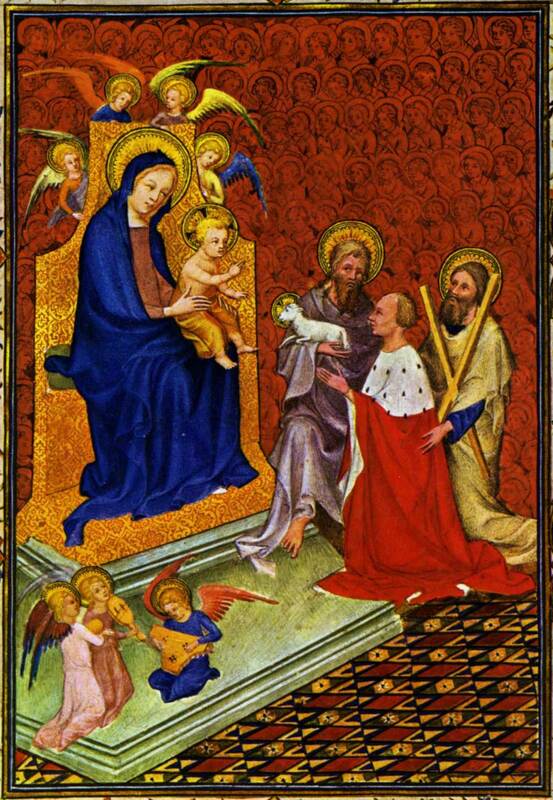 This entry was posted in image research and tagged book of hours, illuminated manuscript, miniature. Bookmark the permalink.